The team consists of Directors – James Allen and Peter Noe, our Operations Manager – Sarah Hancock, Site Managers – Cameron Hill & Chris Mathews, Project Assistant – Nerissa Toms, Accounts – Berni McGuiness, along with our Site Staff. Peter and James have both run their own successful property businesses and combined forces to bring the creative flair and meticulous attention to detail, along with all other areas of their property experience, together. They know the local market as well as any, and work hard to ensure all projects are brought to a successful conclusion in a competitive time frame. 6a Vision Homes has the in house skills to take projects from the first discussion, through concept phase, to completed build and marketing. 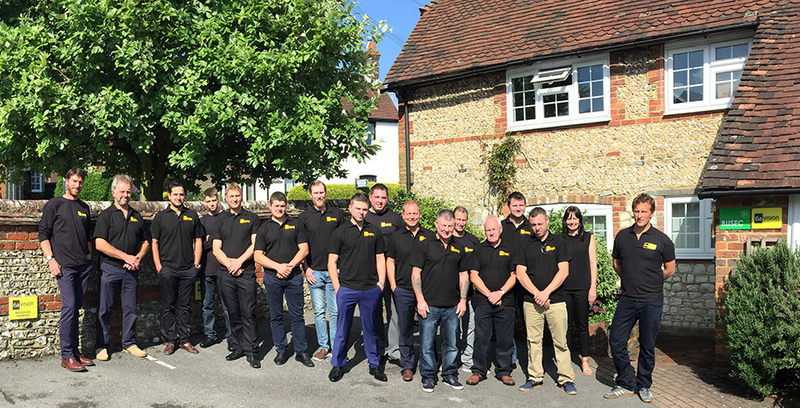 This in house team combines with a wider circle of trusted professionals whom we know and work with regularly, including solicitors, land surveyors, structural surveyors, architects, engineers, accountants, environmental and arboricultural experts, building regulations experts, estate agents, CGI specialists and a tight team of tradesmen from ground workers to decorators. We agreed to let 6a Vision Homes use our garden to make the build easier and speed it up. In return 6a would rebuild our garden with a new lawn and fencing. They kept their word and exceeded our expectations laying good quality turf and fencing. They kept us informed all the time and nothing was too much trouble. To sum up, a very good experience. Very happy with our new house. The large kitchen area was a major selling point. The whole house is light and airy and I’m so pleased I found it! Well designed & built house with excellent finish and snagging carried out well so far. ….the John Lewis of developers…. If you wanted to show anyone around my place to show what a cracking job 6a Vision does, I would be happy for you to do so. Beautifully designed, well built, with good customer care. Good design and well made house, the house is great. Thank you, we have all enjoyed the project, you and Peter are a pleasure to work with and have both got a good eye. Which makes my job in particular fun. Hope to do more with you. 6a move to larger offices!